FBI Finds No Motive In Las Vegas Shooting, Closes Investigation "Throughout his life, [Stephen] Paddock went to great lengths to keep his thoughts private, and that extended to his final thinking about this mass murder," officials said on Tuesday. On Tuesday, the FBI announced it could not uncover what drove Stephen Paddock to kill 58 people, honored at a memorial, and injure hundreds more in October 2017 in Las Vegas. The FBI's Behavioral Analysis Unit shared key findings Tuesday from the report, which explored details of Paddock's developmental, interpersonal and clinical history as they related to his behavior before the attack, as well the 11-minute massacre, during which he killed 58 concertgoers at the Route 91 Harvest festival and injured nearly 1,000 others. "Throughout his life, Paddock went to great lengths to keep his thoughts private, and that extended to his final thinking about this mass murder," officials said in a three-page synopsis. While some may be dismayed by the FBI's inability to answer why Paddock targeted those people on that particular day, Mynda Smith, whose sister was fatally shot, told NPR that she would rather he take his reasons to the grave than to have Paddock alive. "I truly believe if he had lived, he would have made my parents' life miserable. We would've been caught up in trials and having to listen to things that he would say," Smith said. The absence of a single motivating factor is not unusual, according to the FBI. And it places Paddock within the typical profile of other mass murder shooters who are prompted to violence by a "complex merging" of various stressors. There was no manifesto, no suicide note, nothing left behind to explain the attack, but investigators believe part of Paddock's motivation was his "desire to die by suicide" and to "attain a certain degree of infamy via a mass casualty attack." The report depicts a man whose physical and mental health was deteriorating and who was planning for the end of his own life. "In reaction to this decline, Paddock concluded that he would seek to control the ending of his life via a suicidal act," the report says. It also suggests the high-stakes gambler may have been inspired by his father, a bank robber and fugitive, who, in 1968, was on the FBI's top-ten most-wanted list. 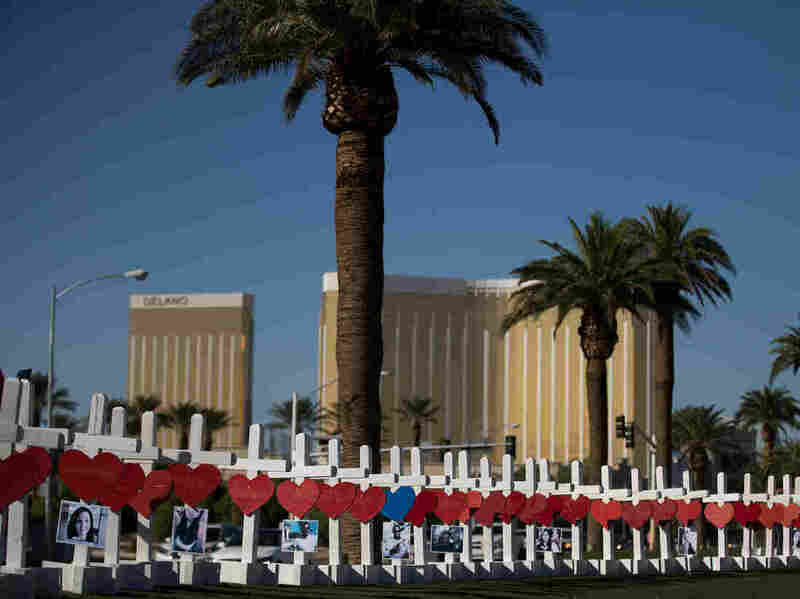 "Paddock's father created a façade to mask his true criminal identity and hide his diagnosed psychopathic history, and in so doing ultimately achieved significant criminal notoriety," the investigative panel concluded. As NPR's Leila Fadel told All Things Considered, "He had 47 firearms the day he opened fire on people. He was researching police tactics and response, ballistics, and he was going to different sites to figure out where he could inflict the most damage on a lot of people."